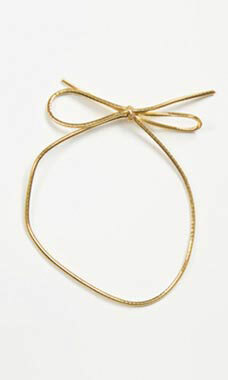 For an instant accent that turns your jewelry box into an instant gift use our pre-tied 8" shiny gold stretch loops. These metallic elastic cords add a tasteful touch of color. 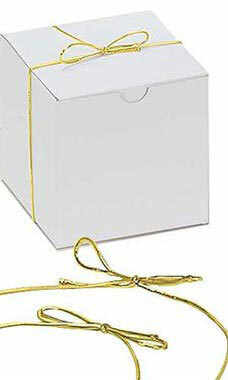 Our pre-tied loops are bundled in packages of 50 and can be used with any of our jewelry boxes.